1 – Is Express Entry replacing Federal Skilled Worker (FSWP) and Canadian Experience Class (CEC)? No. Express Entry is a new system of choosing Permanent Residents. One must first be qualified for one of the economic programs such as Federal Skilled Worker and Canadian Experience Class in order to be able to get into the Express Entry pool. 2 – What is the minimum score for language under Express Entry? If you want to qualify for Express Entry, then you must first qualify for one of the economic programs such as Federal Skilled Worker, Canadian Experience Class or Federal Skilled Trades. Your language score must meet the threshold of any of those programs you are trying to qualify for. For more on language score, go here. 3 – Can I qualify under Express Entry without a valid job offer (LMIA) or PNP nomination? Yes. An LMIA or a PNP nomination will give you enough points to guarantee that you will be picked from the Express Entry pool. However, there aren’t nearly enough people with LMIA or PNP nominations, so those without them do have a chance as it has been demonstrated in most of the recent rounds. On November 6, 2014, Citizenship and Immigration Canada (CIC) announced that Canada will welcome between 260,000 and 285,000 new permanent residents in 2015. Most of them (63%) will come under economic categories. That’s more than 163,000 people. Of those, 47,000 to 51,000 of them will be Federal Skilled Workers who are majority applicants from outside of Canada with no Canadian work experience. 4 – What’s the minimum number of points do I need to qualify? That’s a question that cannot be answered as there is no minimum threshold. However, it is estimated that those above 400 points will have a decent chance of being selected. 5 – Besides getting a PNP nomination or an LMIA, are there ways for me to improve my total points? 6 – Are there occupations that are not qualified under Express Entry? Any occupation considered to be skilled under the National Occupational Classification will be considered. I have created my express entry profile in march 2015 with points 361. I’m losing my hopes getting ITA looking out the current invitation process. Can you let us know are there any chances for ITA for points below 400. Should we keep hopes or we can drop out? What’s happening with the Canadian Experience Class (CEC) applications that were submitted before Jan 2015? Most of the CEC applicants have completed and passed medical exams long back upon request from CIC. Since then, we have not received any further progress on our application status. CIC have not touched our applications for the past six months. Hearing the same answer from CIC call center that background check in process. How come the background check is taking so long for CEC applications but CIC could complete the entire process in 3-6 months for express Entry applications? We understand that Express Entry is the best way to immigrate to Canada since January 2015. However, when we all applied there was NO Express Entry, we applied the way CIC wanted us to. We would appreciate if CIC could prioritize our applications before the Express Entry as Canada is a democratic country and every person should be given a fair chance. With CIC putting all the manpower and focus on making Express Entry a success, us older applicants are suffering. I trust that CIC would be making the right decision going forward. Has anyone applied under the express entry program? 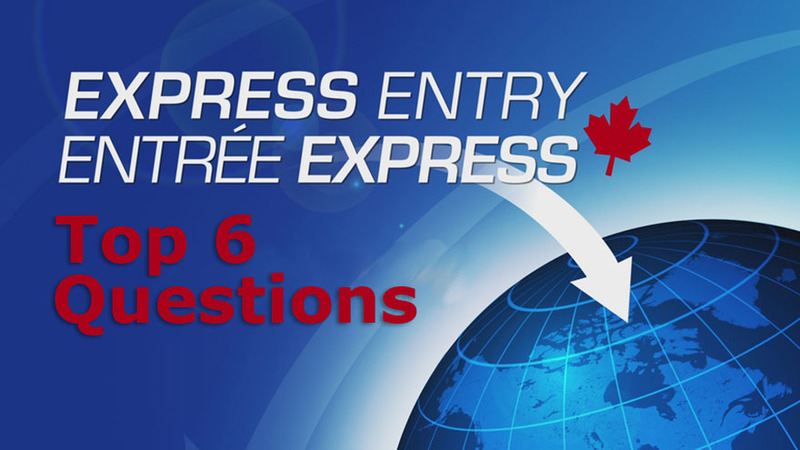 Do you have to have a job to qualify under express entry? Where can I find express entry LMIA jobs? I am living in Vancouver right now but due to some work permit issue I have to go back to India next month. I am wondering if I could apply through express entry since I have 2 years of Canadian education and 2 years of accounting experience in India. How would I start the process with LMIA?